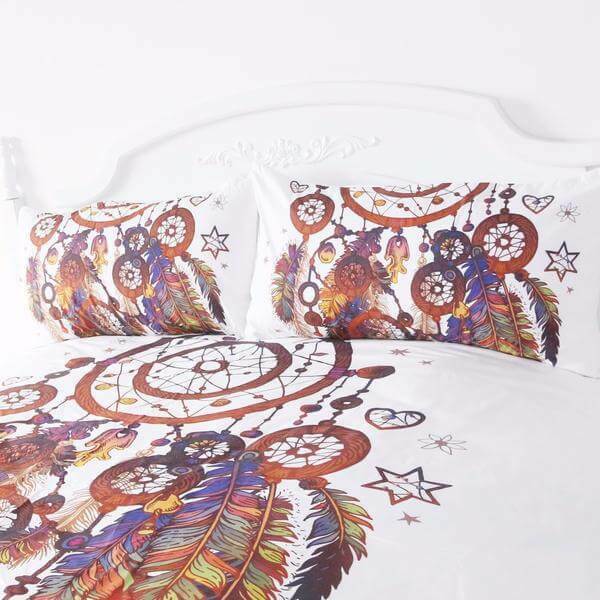 Show your unique style with this Feathers Dream catcher Bedding Set features a white background with peace signs and floral patterns. 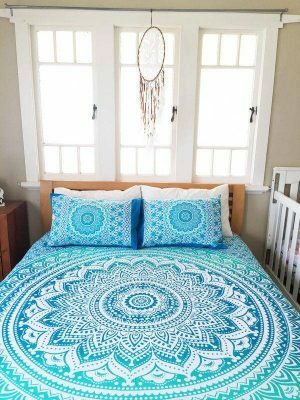 Watercolor Bedding sets include one (1) duvet cover and two (2) pillowcase covers. These custom designs are beautifully captured on comfortable micro-fiber fabric. 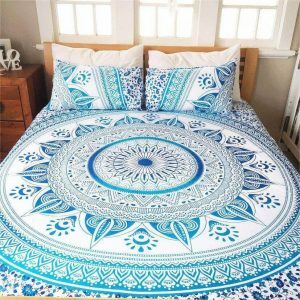 Every duvet cover is custom printed, made by hand and quality inspected to ensure the highest quality duvet cover available on the market today. 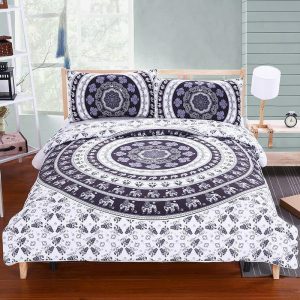 Set includes one premium duvet cover with two matching pillow covers. 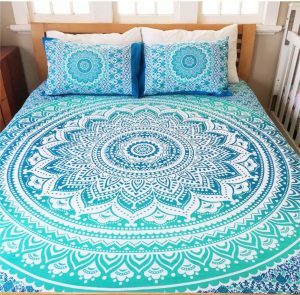 Sheets, pillow inserts, and duvet insert not included. 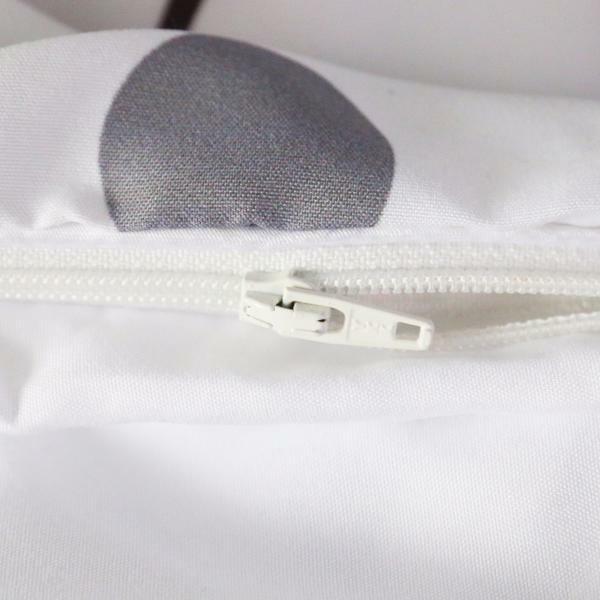 High-quality workmanship, vivid colors, and durable zippers make this a great buy. Features: Native American culture bedding decor with a traditional design of a tribal dream catcher with cool, girly and ethnic feathers in purple, orange, teal watercolors.